What was it made Christ a physician at all? Was is not because men were sick with sin? Suppose they had been perfect, would Christ have ever been a Savior if men had not been lost? Brethren... it would have been a folly, a monstrous folly, on his part, to undertake an office which was not required of him. It is sin which makes room for his work as a Savior. I say it — you will understand me — he is only a Savior because there are sinners, and his Saviorship is based upon our sinnership. He takes that position because he is wanted. Again, what was the main thought which was upon him when he was compounding his great medicine? What was it made him shed great drops of blood? Was it human guilt, or human merit, think you? Why guilt, and guilt alone. What made him give his back to the scourgers, and his cheeks, to the smiters? What made him stretch his arms to the cross and give his feet to the nails? What made him bear the unsufferable wrath of Almighty God? Was it man’s goodness? Why you cannot think of such a thing; it was human vileness, villany, degradation, iniquity, which made such sufferings as these all needful. As I see then Christ in his great surgery, compounding the Almighty medicine which is to expel the disease from the veins of humanity, I see him every moment thinking of sin! sin! sin! Man’s sin makes him die. From a sermon entitled "The Great Physician And his Patients," delivered March 5, 1865. 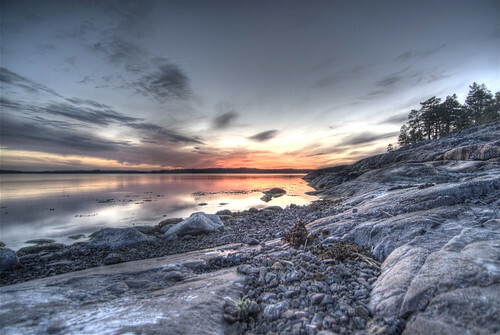 Image by Ville Miettinen under Creative Commons License.